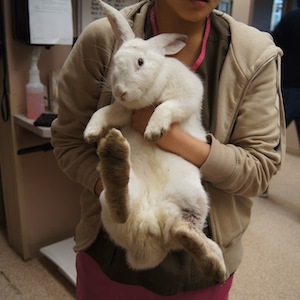 i was wondering if you could send me the recent apdates about the injered rabbits you find because i am doing a presentation on rabbit abbuse. I was also wondering if i could use some of you information? P.S. im a rabbit fan and wonder where you adoption centers are. So sickening if this was intentional harm done… What is more cowardly than beating a beautiful, soft white rabbit with a hockey stick? ?